No matter what size or shape your dog is, it is worth taking the time to ensure that your beloved pet is safe when out in the yard or garden. Dogs that escape can not only get into trouble with neighbors but other dogs may attack them or cars may hit them. Don’t risk your new family member becoming the bane of the neighborhood or even being stolen by opportune thieves. 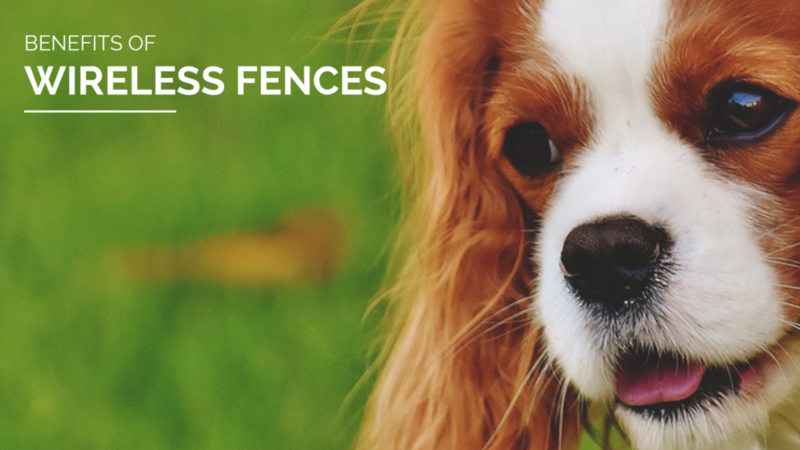 By doing all possible to keep your dog safe with a good dog-proof fence, you will be able to let him loose in the yard to run around and play and have fun, benefitting from the peace of mind of knowing that he will not come to any harm. If you struggle to walk your pup, then using a pet fence will mean that he can get plenty of exercises outdoors and will not get frustrated due to lack of activity. 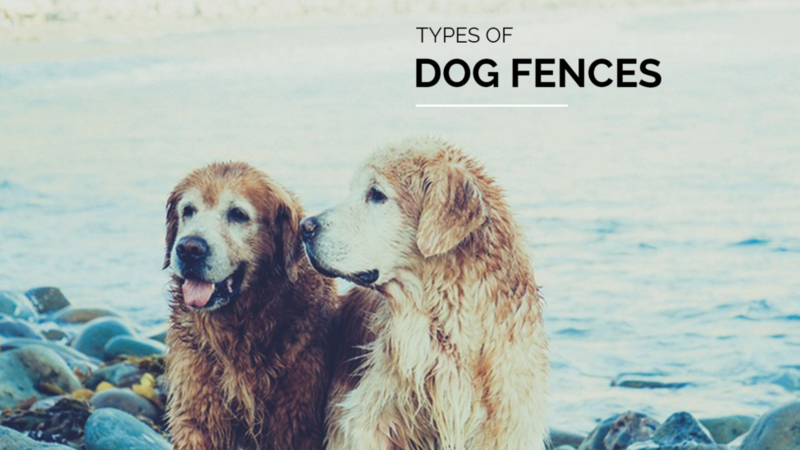 Before you rush out and buy a fence or get a contractor in to put one up for you, take the time to check out the varying types as there are plenty of suitable fences available that will not only look good but also keep your dog where he should be. 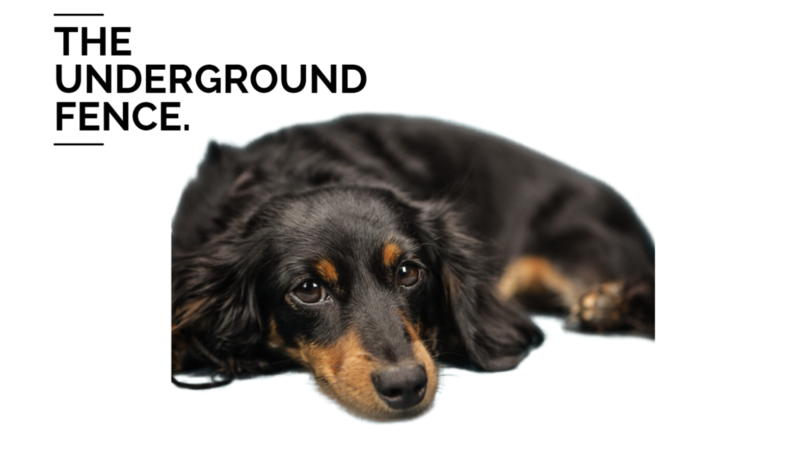 Give your pet as much room as you can, no-matter the size of your yard. Even if you are going to walk your dog a couple of times a day, he needs room to run up and down. But what about dogs that climb fences or dig underneath them? Training can help here; discourage your pet to climb and he will respect the fence and not try to clamber over it, no matter his size. It is simple enough to stop digging under the fence by burying the fence into the ground for a few inches or putting in a channel of concrete.Make your fence high enough to discourage jumping – if the fence isn’t high enough you can add ‘arms’ at the top which are angled steel extensions that can be strung with wire. Here there are three key factors to focus on; aesthetic good looks, your budget, and breed of dog. A fence really doesn’t need to be ugly and the right fence can actually improve the look of your yard. You are also going to need a minimum budget. Fencing is not cheap and if you need to allow for a contractor to put it in place for you, add this to your budget if you are considering getting a new dog. These types of fences are another option, comprising wooden posts with wooden cross rails but if it is to contain your dog, some sort of material will have to be added on the inside or your puppy will just go through the rails. The cost of these types of fences should not be prohibitive and you can always plant shrubs along the fence to make it look even more attractive. this is another popular choice, using heavy wire material in between sturdy support posts. You can choose the height that you need and most zoning laws seem to allow it. It will certainly not block your view but it does not stop people from seeing your dog or your pup seeing them. this is lower on the budget scale and is a lower gauge of a wire material which is fitted to brace posts and T-posts. When being fitted, the wire has to be stretched to ensure that it is tight and strong. The openings in the wire are too small for dogs to pop their heads through, nor should they be able to make contact with people on the other side. It’s not as tough as the chain link but it should be suitable for most purposes. then we come to the sort of fencing that is used by farmers, which is the cheapest if you have a tight budget. Made from loosely woven, narrow-gauge wire with smaller rectangles at the bottom, it comes in a mix of heights and just like the snow fence, has to be stretched out over brace and T-posts. Because it falls into the budget category, it can corrode and some furry friends may be able to push their heads through. For this reason, many communities will not allow this type of fencing. now we come to the more expensive types of modular fences which can be extremely useful if your community prohibits installing certain types of fencing. They tend to come in ready-made panels which clamp together and can be taken apart and moved if necessary. If you have a large fur baby, you may need to anchor them to the ground in order to make them sturdier.In a similar way, you can purchase modular dog runs which come complete with a fence. Suitable for most yards, they are usually very strong and not permanent so comply with even the most stringent of zoning regulations. you may hear these referred to as dog fences, dog guards, underground dog fences or electronic dog fences etc. The way they work is very simple; an electric wire is placed underground, following the perimeter edge of the area within which you want to confine your animal. Your pet basically wears a collar with a receiver and the wire sends out a weak signal that makes the collar beep when the dog gets close, giving him a small electric shock if he gets too close. This is great for owners who don’t want a fence that can be seen and is also perfect if the zoning laws are very strict. People that have them in place say that they work very well as the pup will appear to be staying in his seat area without any form or restraint. You can also use them to keep your pet away from planted areas or vegetable or flowers beds and any other places that need to remain off-limits. The electric shock used is no more than the type farmers use to keep their stock in the fields so you should not need to worry about it hurting your pet. In fact, when we were children we used to dare each other to touch the electric fences and the ‘shock’ that we got was more like a tickle!!! As for prices, these types of systems come in DIY packages which are not too expensive or you can go for a really upmarket package with comes with trainers who will teach the dog the boundaries of the system and even alert you if a power cut takes place. The receiver collar worn by the dog is also several hundred dollars. the best thing about wireless fences, sometimes called invisible fences, is that they take very little time to set up. They can be working within a few hours and you don’t have to bother with digging or moving around heavy materials. Unlike the electrical hidden fencing, you don’t need to measure up to make sure that the wire is long enough to go around the perimeter of your set area. Most of them are plug and play; you purely connect the transmitter to a power outlet and fit the collar to your dog. Training your dog to use the ‘fence’ should take no more than a day. The other great thing is that wireless fences are portable. Once your dog knows how to respond to the fence, you can, in theory, set it up anywhere. If you travel with your animal, set up the transmitter or use battery power and let your dog roam freely. You set the area of coverage so it can be as small or as large as you wish. But what are the plus points of this wireless fence? Checking out the wireless dog fence reviews will give you a good idea of what to expect. It is easy to set up and requires no construction or digging. Also great for traveling with your dog, is fully portable. It comes with a transmitter and collar and you use the transmitter to set at the middle of your boundary area, setting the area to suit you and your dog. If your furry and four legged friends approach the boundary, a warning beep is given and if he crosses the invisible line, the transmitter will tell the receiver to send out static correction noises (beeps) until the dog returns inside. Because of the way it works, the boundary is radial or circular and the boundaries can easily be reset if the dog needs to be moved around your property. This is not possible with any of the other fences that we have looked at. It sounds very good so far but the wireless fence must have some negatives. Well, there are a few to take into consideration before you purchase. You will get some blurring of the boundary and they can never be set entirely as their location is dependent upon the signal of the transmitter. This can leave you with a fuzzy barrier of anything between 1 to 20 feet, depending upon the type of model that you have. The only way to deal with this is to make sure your dog responds to the beeps of the collar rather than any physical boundary. The other issue, of course, is with the signal of the transmitter; if there are any large obstructions, you may find the collar and the transmitter not communicating effectively or that the perimeter is not being set. Trees, large shrubs or sheds etc. should not be allowed to block the path between the transmitter and your boundary. Metal vehicles will also block the signal. The only way to deal with this is to make sure that wherever you place the transmitter, it has a clear sight line of the boundary in as many directions as possible; this will provide you with the best wireless fence available. The other thing to remember is that all types of hidden fence will not stop anyone from entering your yard, nor stop other dogs from coming in. Your furry family member could be exposed to dog theft, teasing or attacks by other dogs or predators. If they get too agitated, dogs can even break through the system in spite of the shock/beeping and then be reluctant to come home as they don’t want to get shocked or beeped at again. If your dog has a very heavy coat, the collar may get hidden by the fur so you may need to trim it. There are so many ways to confine your dog and dog fencing is one of them. Each has good and bad points when it comes to things like cosmetic good looks, affordability, and effectiveness. None of them are perfect but if you have a dog, it really is worth going to any length to get your yard made safe for your best buddy. Not only will you have total peace of mind but your dog and the people in your neighborhood will applaud you.